As pet parents, we provide our companions with the nutrition they require to thrive each day. Providing the right balance of daily nutrition helps ensure that our pets are happy and healthy. Even with the right nutritional balance, however, you may find yourself wondering if there’s anything else you can do to make your pet’s mealtime routine more enriching. 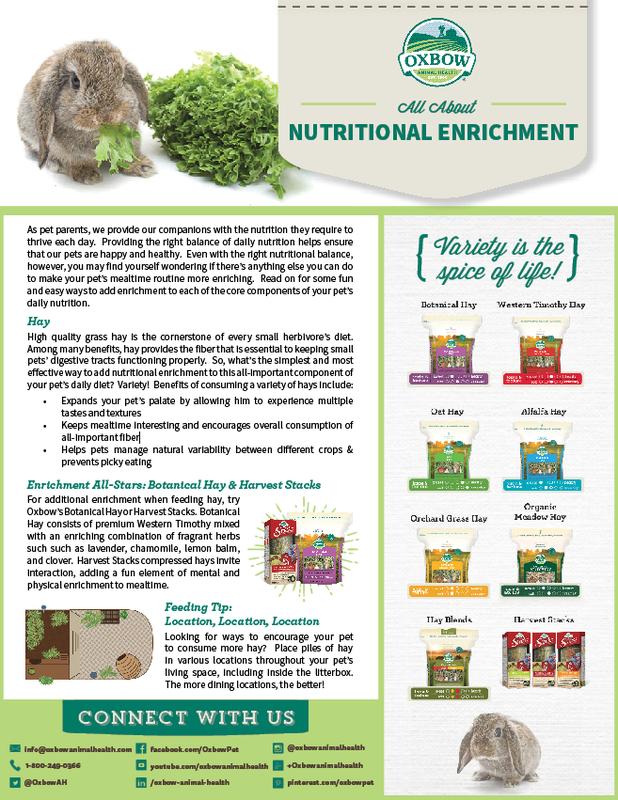 Download the new All About Nutritional Enrichment guide for some fun and easy ways to add enrichment to each of the core components of your pet’s daily nutrition.